Stabilization of beer | Destila s.r.o. 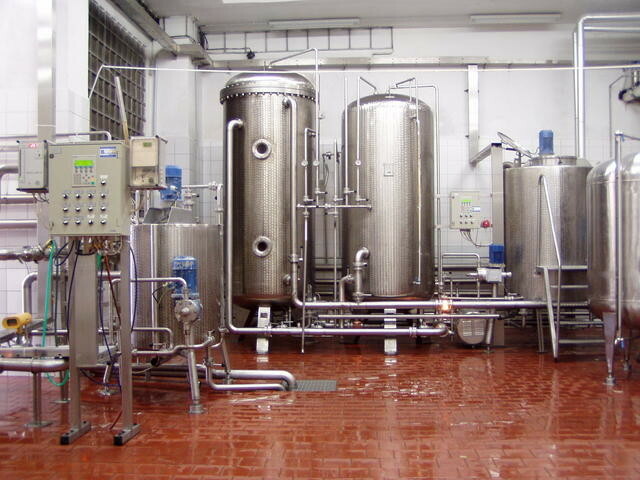 Stabilization of beer is a process by which the beer obtains a longer shelf life. Significantly prolongs colloidal shelf-life (creation of unwanted sediment or turbidity). Stabilized beer, even after long-term storage, is clear, sparkling and retains its original taste and quality. If the beer is not stabilized, it will last for several weeks. Today’s businesses need the beer to last for months. With stabilization, beer will last for more than a year. It is not chemical treatment of beer. The beer is fed with substances that bind to proteins, polyphenols and other colloidal elements, which, after long-term storage, cause undesirable turbidity in the beer. Stabilizing filters are equipment on which these stabilizing agents together with the colloids are captured and completely removed from the beer. Stabilization of beer does not change the sensory properties of stored beverages. FKS stabilization filters are the result of an effort to improve beer stabilization technology. They are reliable, quality, economical and hygienic.